The moderation in employment gains and steady wage growth will likely ease concerns over the economy’s overheating and keeps the Fed on a gradual path of monetary policy tightening. The massive $1.5 trillion fiscal stimulus plan and tax overhaul has been acting as a major catalyst. U.S. GDP growth expanded 4.1% year over year in the second quarter, representing the fastest pace of growth in nearly four years. Steady wage growth and robust job gains will continue to increase consumers’ power to spend more on luxury items. While most of the consumer discretionary ETFs will benefit from this trend, the ultra-popular Consumer Discretionary Select Sector SPDR Fund (NYSEARCA:XLY) having AUM of $14.1 billion and average daily volume of 6 million shares could be a compelling choice. It tracks the Consumer Discretionary Select Sector Index and holds 80 securities with higher concentration on the top firm Amazon (NASDAQ:AMZN) at 24.3%. Other firms make up for a nice mix with each holding less than 7.5% of assets. The fund charges 13 bps in fees per year and has a Zacks ETF Rank #2 (Buy) with a Medium risk outlook. The First Trust RBA American Industrial Renaissance ETF (NASDAQ:AIRR) is one of the largest beneficiaries of the manufacturing job boom. It offers exposure to small and mid-cap securities in the industrial and community banking sectors by tracking the Richard Bernstein Advisors American Industrial Renaissance Index. Holding 55 stocks in its basket, the fund is well spread across components with none accounting more than 3.95% share. The product has $187.3 million in AUM and trades in a lower volume of around 24,000 shares per day on average. It charges 70 bps in annual fees and has a Zacks ETF Rank #2 with a High risk outlook. Job gains in retail sector have strongly rebounded after losing 20,200 in June. As such, SPDR S&P Retail ETF (NYSEARCA:XRT) seems an attractive pick. The product targets the retail sector and tracks the S&P Retail Select Industry Index, holding 89 securities in its basket, with none accounting for more than 1.92% of assets. Apparel retail takes the top spot at 22.8% share while automotive retail, Internet & direct marketing, and specialty stores round off the next three spots with a double-digit allocation each. The fund has amassed $594.2 million in its asset base and charges 35 bps in annual fees. It trades in a solid average daily volume of 5.1 million shares and sports a Zacks ETF Rank #1 with a Medium risk outlook. Leisure and hospitality saw a solid increase in hiring. As a result, Invesco Dynamic Leisure and Entertainment ETF (NYSEARCA:PEJ) is also a good addition to the portfolio. This fund tracks the Dynamic Leisure and Entertainment Intellidex Index and holds a small basket of 29 stocks. It is pretty well spread out across various securities as none accounts for more than 5.3% of total assets. 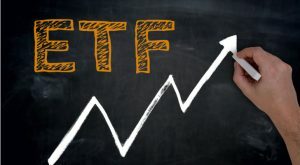 The ETF has amassed $154.9 million in its asset base and trades in a light volume of 37,000 shares a day on average. PEJ charges 61 bps in annual fees and has a Zacks ETF Rank #3 (Hold) with a High risk outlook. Article printed from InvestorPlace Media, https://investorplace.com/2018/08/4-etf-focus-post-july-jobs-data-ggsyn/.